A human rights activist who filmed the moment an IDF soldier shot a disarmed and injured Palestinian has told RT he and his family have faced a constant stream of death threats from Israeli nationalists since he made the video public. “When I heard the last gunshot, which, as it turned out, hit Abdel Fattah Al-Sharif in the head - I got scared. But I thought it was very important to spread this video in the media. 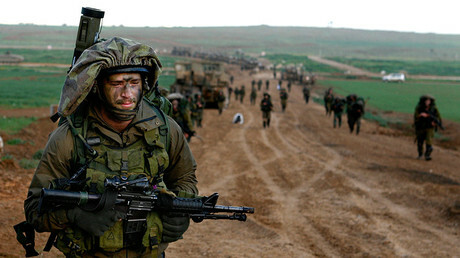 I handed it over to rights groups, including the B’Tselem organization,” Imad Abushamsiya told RT. “I have received calls on my mobile and messages on Facebook, in which I was threatened and told to leave the district,” Imad, who lives with his family in the West Bank city of Hebron, said. The activist filmed the gruesome video of the fatal incident, which took place outside his home in Hebron on March 24, 2016. Imad heard gunshots and went outside to witness the aftermath of what appeared to be a stabbing attack on an Israel Defense Forces (IDF) soldier. 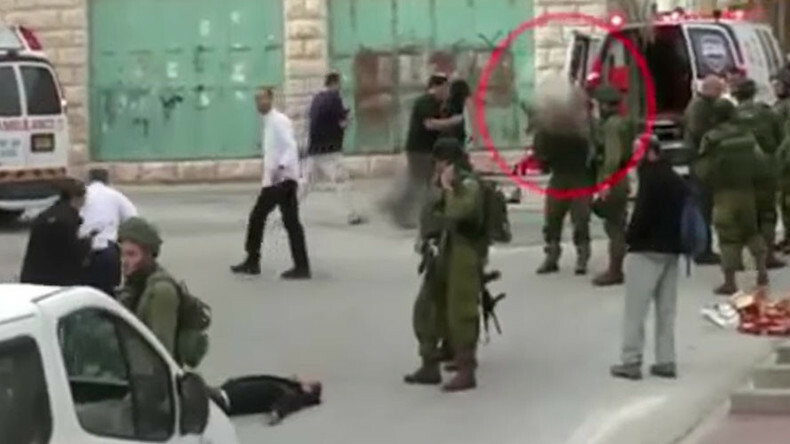 In the video the alleged attacker, Palestinian Abdel Fattah al-Sharif, who had already been incapacitated, lies wounded on the road while an injured soldier is taken away by ambulance. The footage shows al-Sharif moving his head from side to side as soldiers, medics and settlers crowd around, making no attempt to help. Then a soldier, later identified as 19-year-old Elor Azaria, approaches al-Sharif, shouts “Stand back!” and shoots the teenager in the head at close range. Imad’s footage was published by the Palestinian Human Rights Defenders group and shared by Israeli human rights organization B’Tselem, which slammed it as an “extrajudicial street killing.” It was then picked up by news outlets around the globe within hours, sparking international condemnation and a high-profile, months-long trial. During this time, Azaria was both praised as a national hero and vilified as a cold-blooded killer. 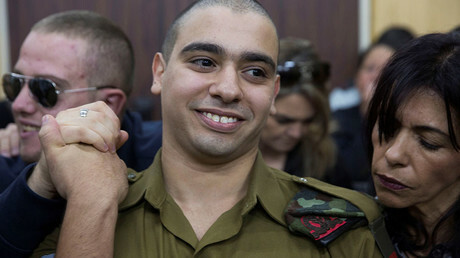 “I feel good, it is fair [Azaria’s conviction on manslaughter charges], this is an achievement of the court that they condemned the soldier,” Abdel Fattah’s father, Yousri al-Sharif, told the press when commenting on the verdict. Azaria now faces up to 20 years in prison, although legal experts expect a much lighter term. Despite being convicted, the soldier has not yet been sentenced. Israeli nationalists condemned the guilty verdict, staging protests outside the courtrooms, with the defense minister, education minister and Prime Minister Benjamin Netanyahu all calling on the Israeli president to pardon the soldier. Since the conflict in the area escalated in recent months, Palestinian attackers have killed at least 36 Israelis and several foreign nationals in stabbings, shootings and car-ramming attacks, while more than 220 Palestinians were shot dead by Israeli soldiers. Israeli authorities claim these killings happened when Palestinians were attempting attacks, but humanitarian groups and the United Nations have repeatedly raised concerns over excessive use of force by IDF soldiers.